Are the Calgary Flames Going to Trade for Robin Lehner? 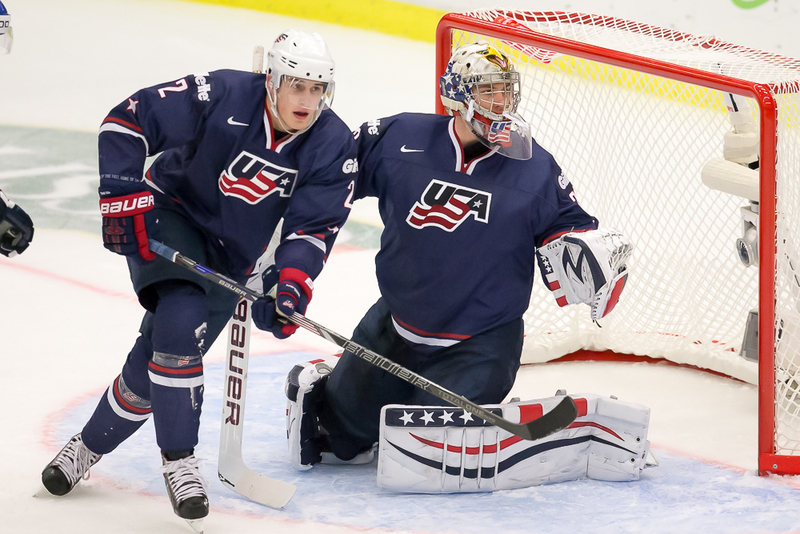 With just 8 days until the 2015 NHL Entry Draft, trade rumours are beginning to swirl. Multiple superstars are known to be available, with tons of teams calling for them. 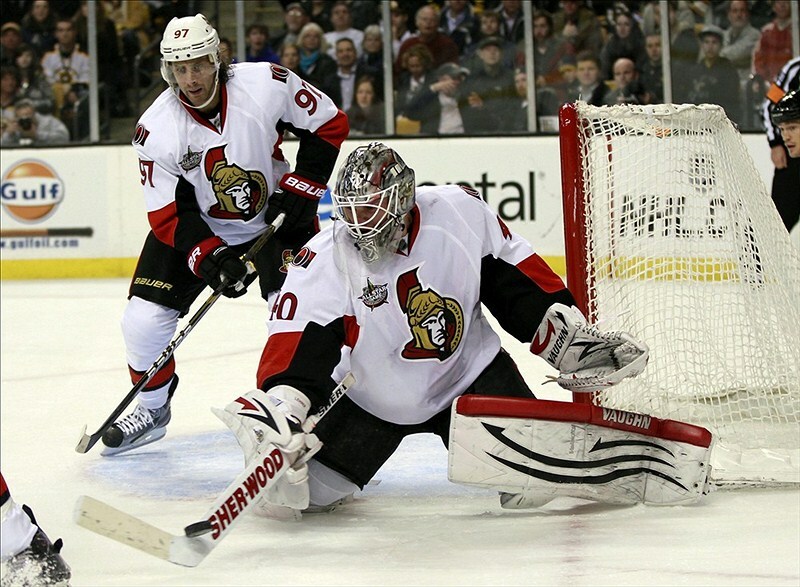 As for the Calgary Flames, they are reportedly interested in Ottawa Senators goaltender, Robin Lehner. Just yesterday, Bruce Garrioch of the Ottawa Sun said, “It’s believed six or seven teams – including Buffalo, Edmonton and Calgary – have called Murray to show interest in 23-year-old Lehner.” Although the Sabres and Oilers are both severely in need goaltending for the future, the Flames are actually quite deep at the position. As of now, Calgary has Jonas Hiller as its starter for just one more year. However, behind him is Karri Ramo who will need to be re-signed this offseason. But Ramo may be looking for a significant raise. With Hiller’s cap hit at $4.5 million, the Flames should shy away from having two goaltenders each signed for the price of a starter. Especially with so many options in their own system, Calgary could use that money to upgrade their scoring depth. So, who else in the Flames system could take over the backup role for 2015-16? Jon Gillies, a 2012 3rd round pick, has been absolutely spectacular in his three season with Providence of the NCAA and may be looking towards a jump to professional hockey next year. The Flames have very high hopes for Gillies, thinking he could be their goaltender of the future. Calgary also selected Mason McDonald in the second round of the 2014 NHL Draft, a goaltender who was second in save percentage in the QMJHL this season. All in all, Calgary definitely has some very promising prospects in goal, and doesn’t seem to need another one in Robin Lehner. Would a Robin Lehner Trade Make Sense? An aspect to keep in mind for a possible Lehner trade is what the Ottawa Senators will want in return. Considering up to eight teams are interested, the price could rise quite a bit. Before a bidding war starts, we already know that the Senators were asking for a top-six forward plus a decent draft pick. Should Calgary really consider giving up a proven NHL forward for someone who has fallen far short of expectations and would only play 20-30 games for the Flames next year? Probably not. The Flames could actually use some additional scoring help, not less. For me, a potential Robin Lehner to Calgary trade makes little sense and it’s something that the Flames should not even consider. If they choose to let Ramo walk, they could potentially slot Jon Gillies in as the backup, or even promote Joni Ortio to play behind Hiller. But, they definitely do not need Lehner to play backup. Do you think the Calgary Flames need to trade for another goaltender? Please discuss in the comments below!